The 12AX7 vacuum tube was invented almost 70 years ago and is still used in modern bass guitar tube amps. Hybrid bass amplifiers typically pair a single 12ax7 preamp tube together with a solid-state power section. Best of both worlds, right? Well, along came the new Class D bass amps, and they’ve become all the rage given that they are small and light, but sometimes we find ourselves missing the warmth of a real vacuum tube. The Eden Glowplug pedal aims to fix this by introducing the warmth of a 12ax7 preamp tube into your existing bass rig. The pedal is clearly designed with “Tone Junkies” in mind, so if you like to obsess over your sound, or you’re a recording engineer who needs a tool to warm up your clients’ recordings, this is a great Swiss army kind of pedal that belongs in your gear collection. The Glowplug is the same size—and made with the same tough pedal housing—as the Eden WTDI preamp pedal, CaliforniWAH, and I90. The pedal is adorned with four knobs: Warmth, Crossover, Mix, and Volume. The Warmth knob adjusts how much tube gain is applied to your bass tone. The Crossover balance knob controls the frequency range where the tube warmth is applied, so you could, for example, keep the low end pristine while fattening up your higher notes. 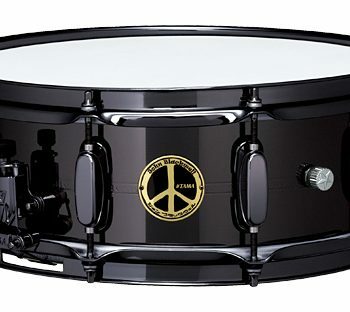 The Mix knob adjusts how much of your bass signal will be warmed up by the 12ax7 tube, and the Volume knob controls the overall output level of the unit. You’ll also find quarter-inch input and output jacks, an LED indicator light, and an On/Off stomp switch. The pedal is powered by an included 15V AC adapter. The built-like-a-tank Glowplug is really straightforward to operate and very user friendly. After you make your connections to the amp, dial in your bass sound and then step on the footswitch to engage. That’s it. The usability of this pedal is extremely intuitive, and the four knobs are essentially set-to-taste. It was easy to hear and understand what the pedal does to our bass tone as we tweaked the settings to taste. Unfortunately, even though an AC adapter is included, the 15V AC adapter wasn’t compatible with our Voodoo Lab Pedal Power 2 Plus pedalboard power supply. Why Eden chose not to use a familiar 12V or 18V rating slightly baffles us. We check out the Eden Glowplug with a Music Man Stingray 5, a Fender Precision, and a Steinberger XL24. The bass rigs we used behind the Glowplug included a Mesa/Boogie Carbine stack (4x10 and 2x12), EBS HD360 with matching 2x12, a Fender Rumble 500 stack, a Yamaha DXR10, Yamaha DXR12, headphones, recording studio board, and the classic heavy-weight champion combo, the Eden Metro. Yes, we played this thing everywhere! We set all of the amps with, basically, a flat tone at a “probably too loud” volume. We tried countless pickup configurations with all the basses, countless EQ settings on the bass rigs after starting at neutral, and we played a few live gigs with the pedal, too. There was a noticeable difference in the character of our bass sound when the pedal was engaged, and we always could dial in that warm “sweet spot” tone. Even when the amp had a 12ax7 tube, you could still hear a significant difference when this pedal appeared before the amp in the signal chain. Our Class D amps really benefited from the Glowplug, and we were happy with the tones we were dialing in. The bass strings’ natural harmonics really sparkled. Depending on your rig setup, though, be careful. You could easily end up in a tone “danger zone” if you max out the Mix and Warmth settings. All things in moderation, applies to this pedal. The sound can get very boomy or wobbly if you push the levels too high. 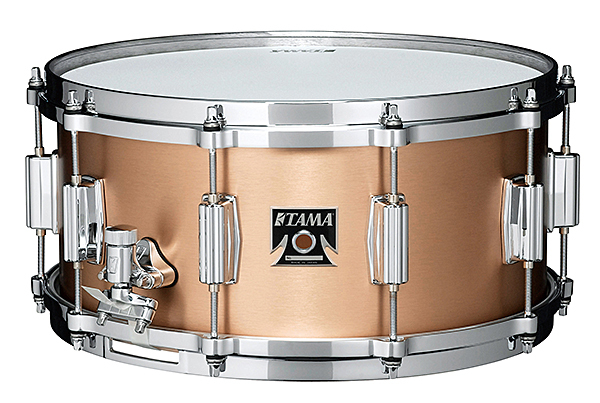 Try this setting as a starting point: Warmth at 50%, Crossover at 10%, and Mix at 50%. We loved pairing the Glowplug with other pedals! We used an Eden WTDI, MXR M87 Bass Compressor, Eventide H9, and a collection of bass distortion pedals. The Glowplug is a great companion pedal when used with other pedals, and it really enhanced the tone. 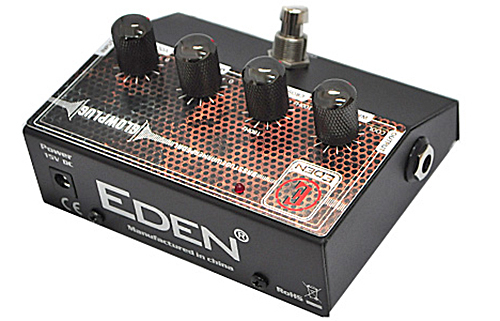 Bottom line: This pedal does what Eden claims it will do. It adds warmth and makes it sound like your bass rig is driving a 12ax7 tube circuit. The owner’s manual for the Glowplug is straightforward, and lists the various features of the pedal. However, we prefer more informative, user-friendly manuals with sample settings. There is also a pre-outlined template of the pedal control panel so you can record your own personal settings. The Eden Quick-Start guide was helpful in reminding the user to “…remember every instrument is different so to ensure you get the best performance you should try various settings...” Sound advice for this pedal. The Eden Glowplug (MSRP $249) sells for approximately $199, which is good pricing for a tube-based tone enhancer (we have to stop short of calling it a tube preamp as it’s not quite that). The Glowplug is certainly a more flexible and value-priced alternative to having your favorite solid state amp modified to include a tube circuit in the preamp section, if that were even possible on your amp. 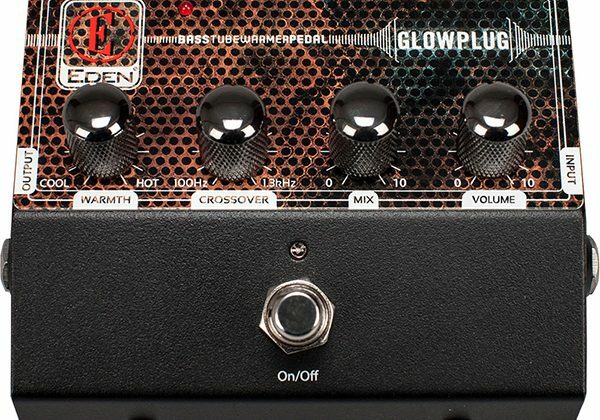 Bottom line: If you’re feeling a bit cold without a tube in your bass rig’s preamp, the Eden Glowplug will warm things up.